I then also have essentials such as Hand cream, the particular one I'm using at the moment is the Neutrogena Nordic Berry Hand Cream* which smells absolutely amazing! What I like about this also is that it absorbs really quickly and doesn't leave a greasy feeling on the hands. I also always have some sort of Body Spray or Perfume the current ones being the Zoella Blissful Mistful and the M&S Peach And Almond body spray, I really like both of these as they are light so they aren't overpowering when washing peoples hair etc, they don't last for hours so you just spray them on every now and then. I also have a bottle of Deodrant which I don't think needs an explanation as to why but I do love the Sure range! Along with all that I carry a pair of Sunglasses these aren't anything fancy and I got them in Primark for €1.50 but I really like this style of glasses and think they suit me, I also carry these for when I'm walking home from work as I suffer dreadfully with Hayfever and so these protect my eyes to an extent. Speaking of Hayfever I also have a Beconase Hayfever Nasal Spray which is pretty self explanatory, hayfever..horrible thing! 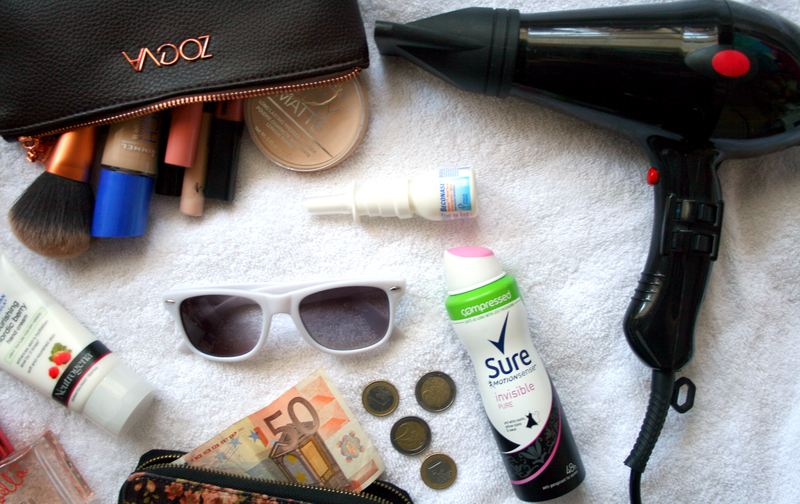 Also in my bag is my Purse and also at the bottom of my bag you will find Loose Change which is normally tips I've made from that day/week. Finally in my bag you will find my Makeup in my Zoeva bag. This normally consists of my foundation, concealer, powder, bronzer, cotton buds, lipgloss/lipstick and gel liner incase I need to touch any of them up during the day. I also have brushes in there to apply the products with. I will do an updated what's in my makeup bag soon to show what I've been wearing to work lately! 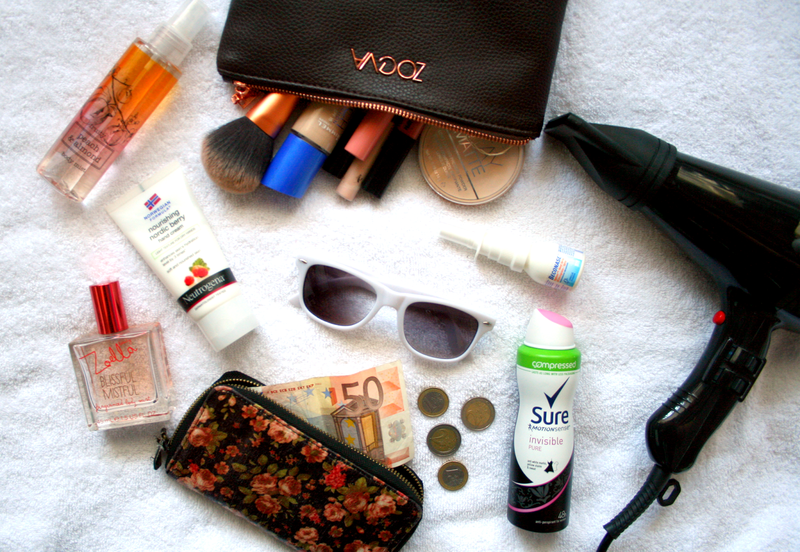 What's the one thing that's always in your bag? I love the pattern on your purse. It is super pretty. I want to try out Zoe's spray so so badly! i wish they sold it in Russia! what do you think of the spray?? oh, my friend has a hayfever, it must be really annoying at this time of year, isn't it? i haven't seen or smelled the spray, but the scent sounds amazing! Great post! 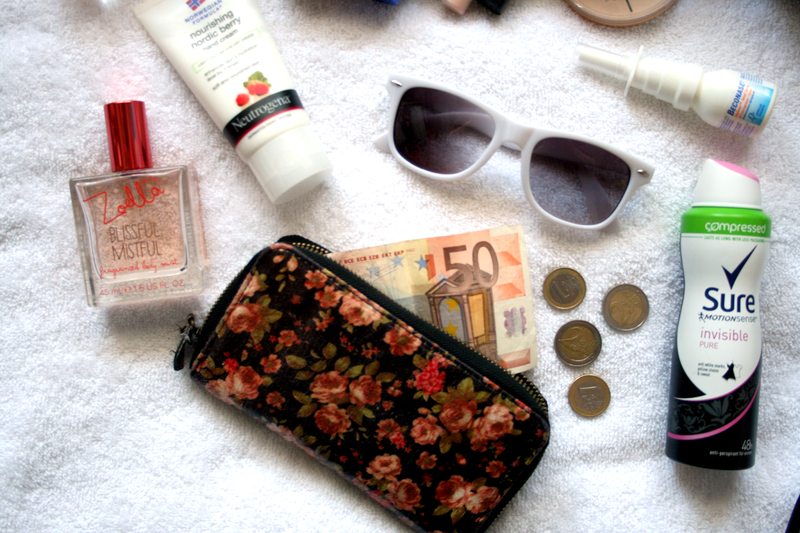 I do love a good what's in my bag post, too nosy for my own good!